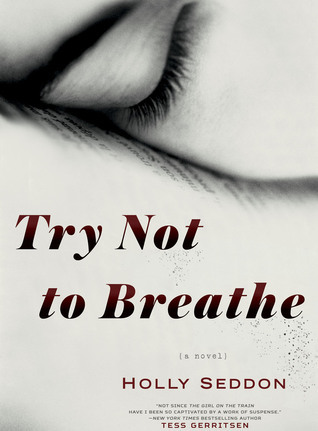 Try Not to Breathe is a terrific thriller from a first time novelist, and I’m already looking forward to her next book. Touted as being “for fans of Paula Hawkins”, I was expecting another unreliable narrator thriller, but this story is different. As it says in the description, it is told from both Amy and Alex’s points of view, but also from Amy’s childhood boyfriend’s point of view. Two of the narrators are not unreliable. Alex and Jake / Jacob just don’t have all of the answers yet, and we learn any new information right along with them. Amy is another story. In her dream-like state, sometimes she remembers things, and sometimes not. When she does have useful information she is unable to communicate it to anyone. This book is a great mystery, but it is also a heartbreaking story of a girl left to live inside her own mind after a terrible attack left her in a near vegetative state, and the effect that her attack has on her family and those who love her. However much liberty the author may have taken in creating Amy’s world, she did a great job of bringing life to a character who was seen as already dead by so many. I would recommend this one to all mystery / thriller fans. Whether you are a fan of the unreliable narrator trope or not, this is an enjoyable read. NOTE: I received a free copy from NetGalley in exchange for my honest review. I really liked the narration on this and how it flipped between the characters. Excellent book, and great review! thanks! glad you liked it too! I was hooked from page 1 and zipped through it in one day – I hope you will like it!